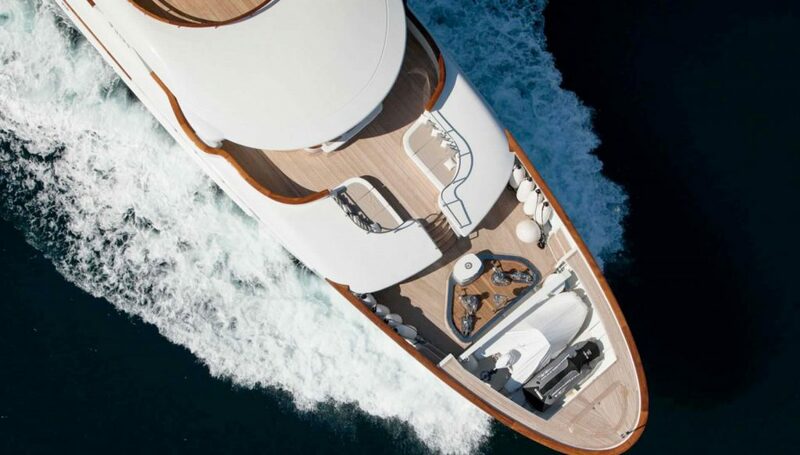 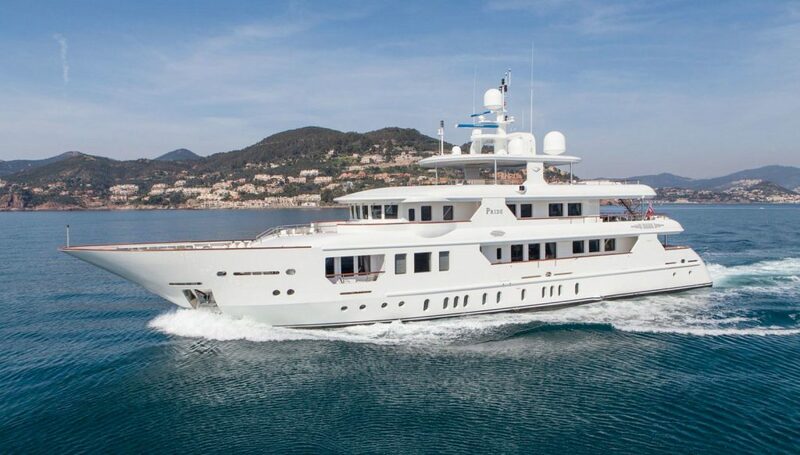 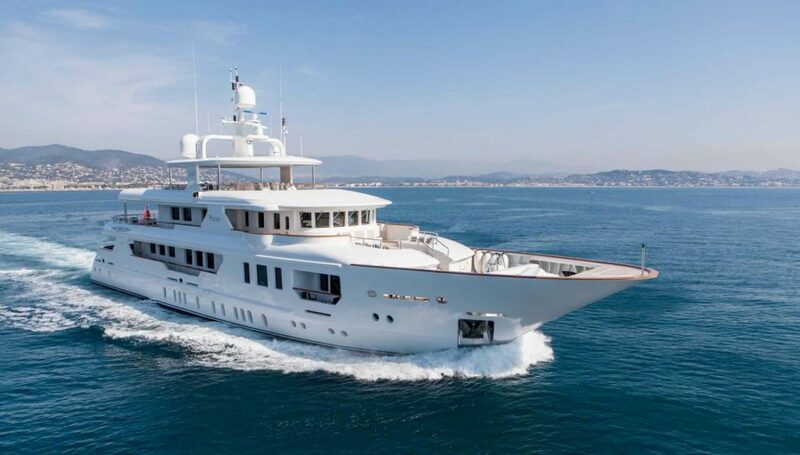 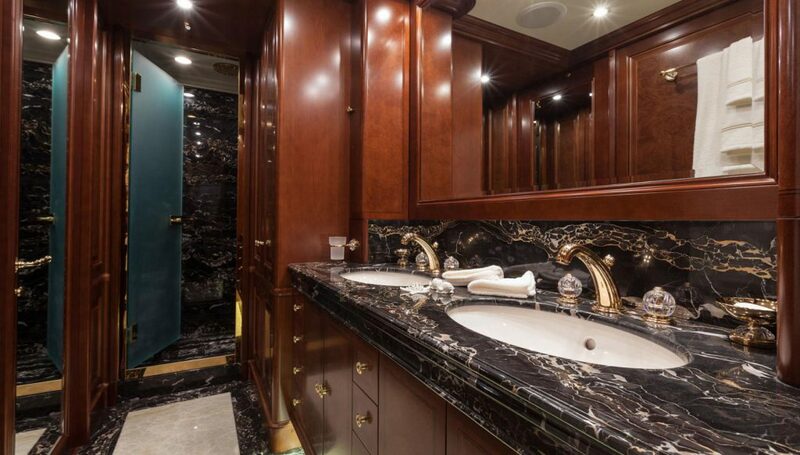 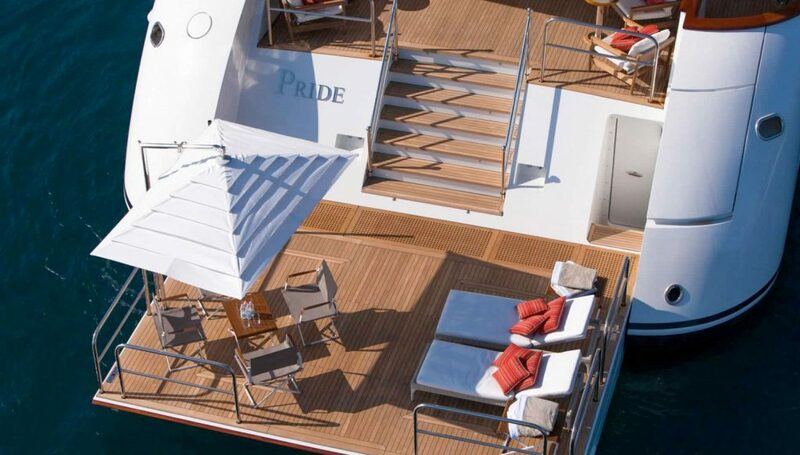 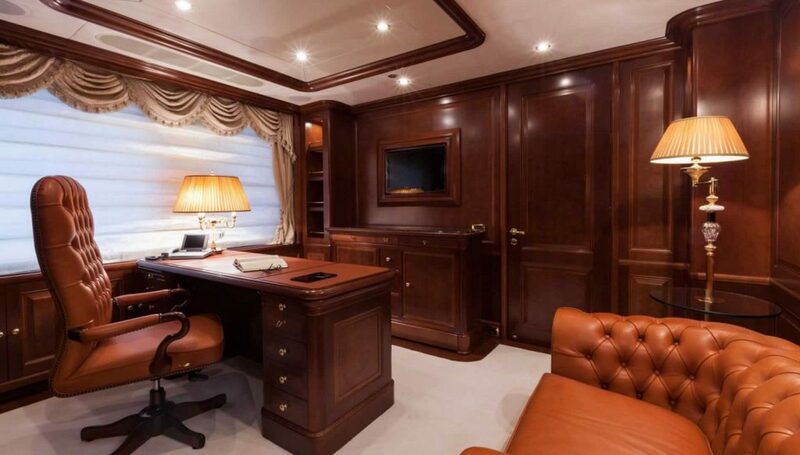 45m motor yacht Pride is delivered in March 2013. 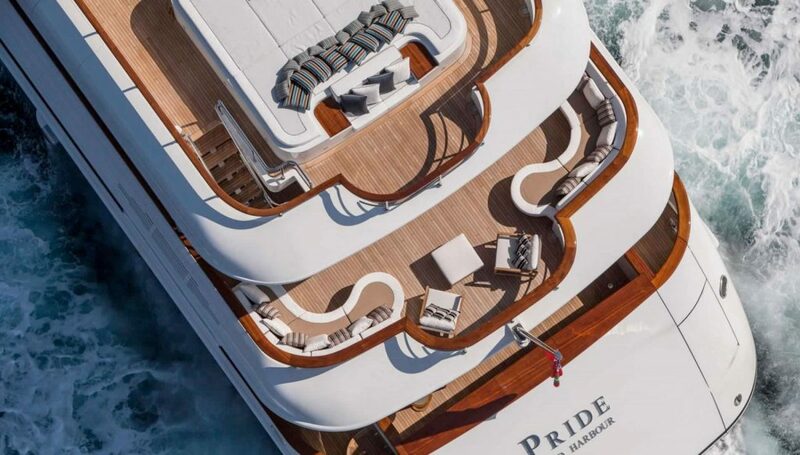 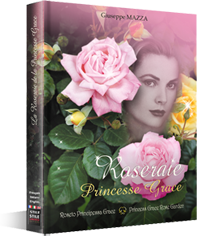 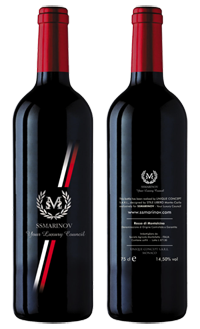 Pride is available through. 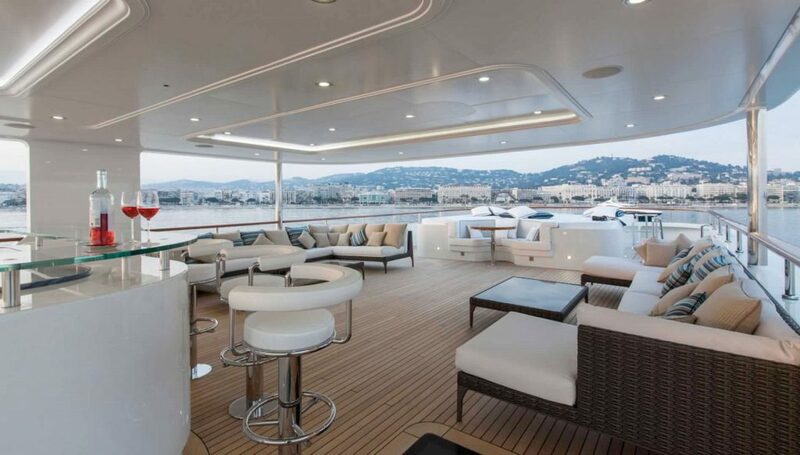 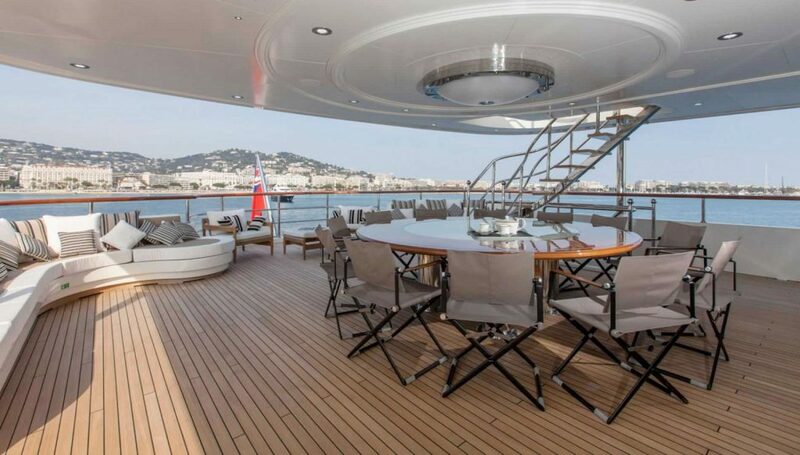 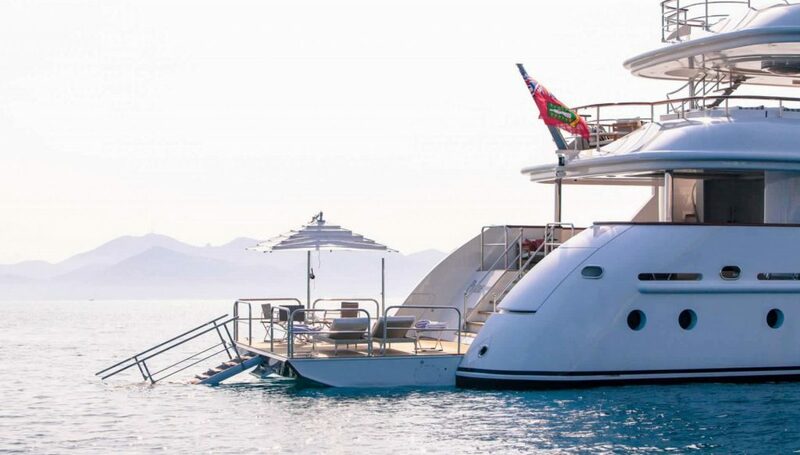 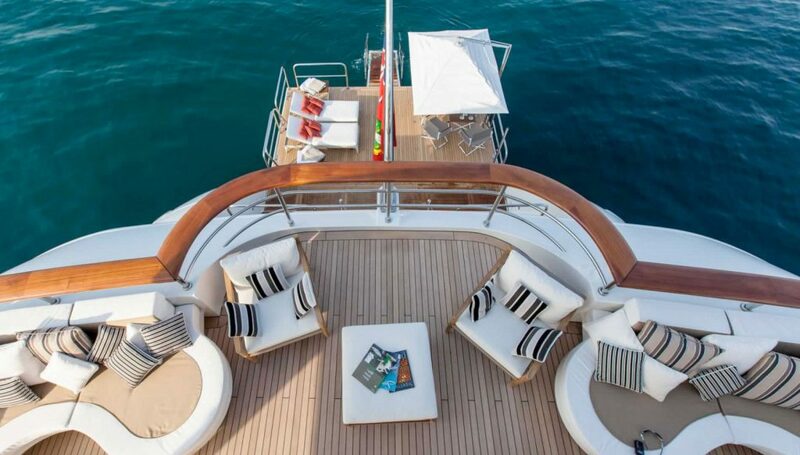 Her design offers very large exterior spaces, including a voluminous sundeck and beach club. 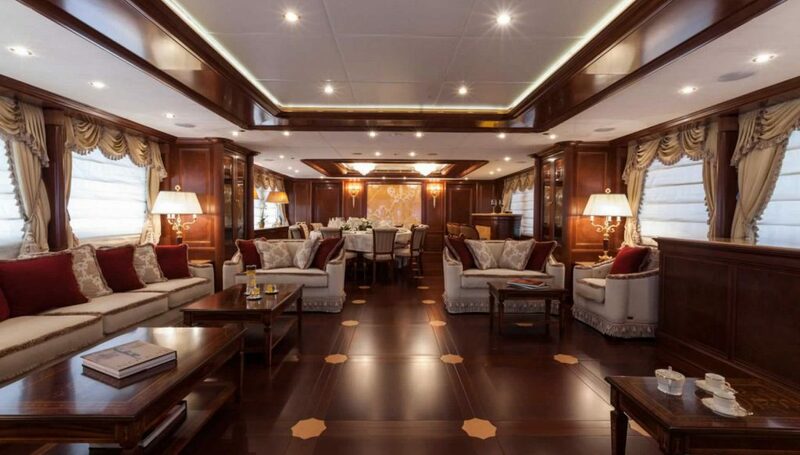 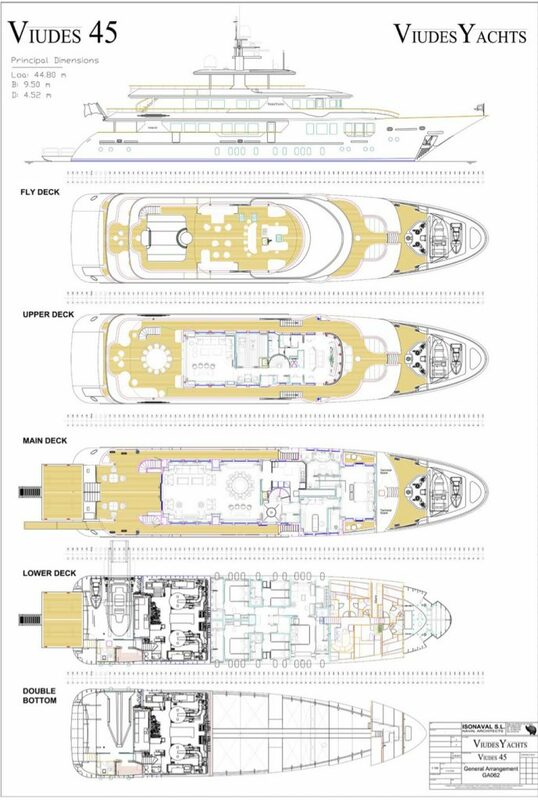 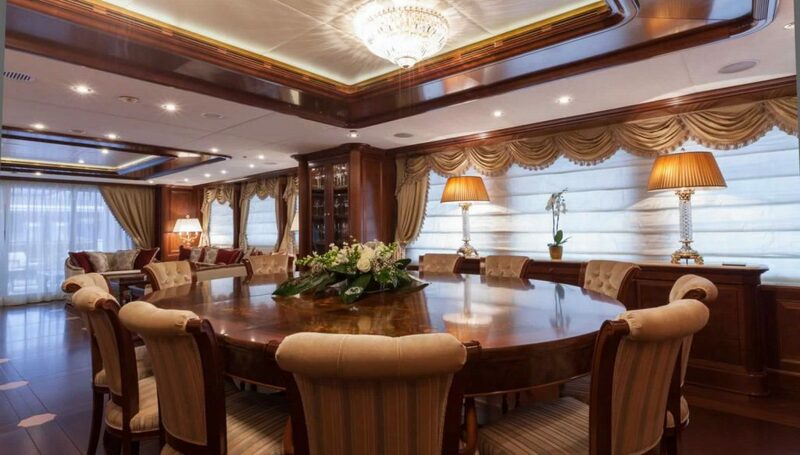 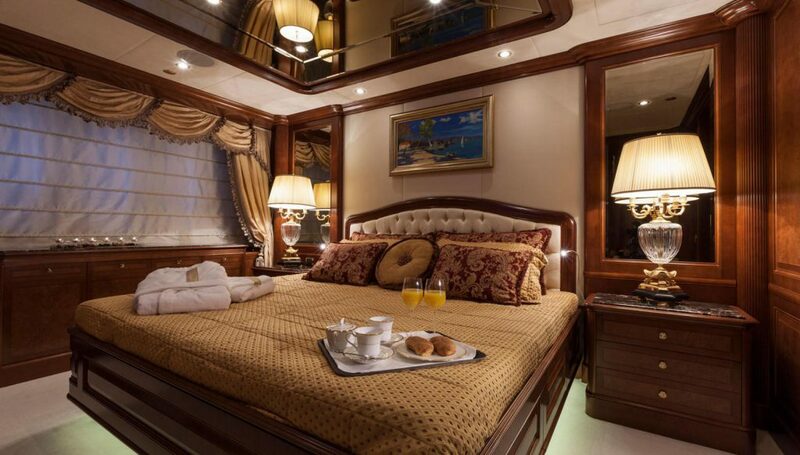 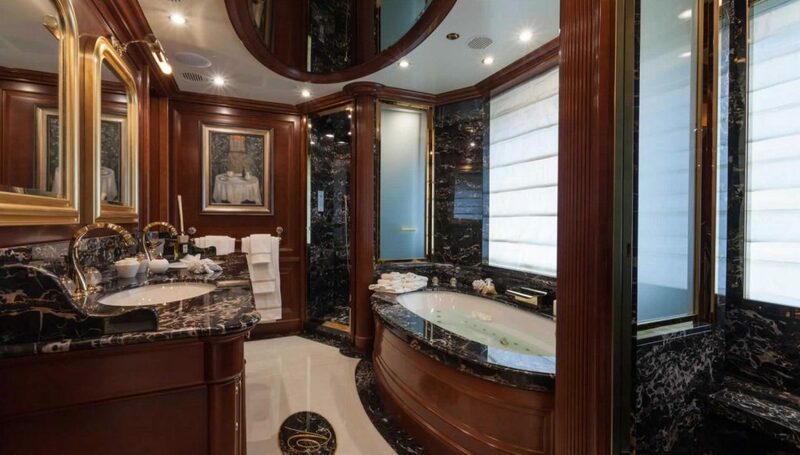 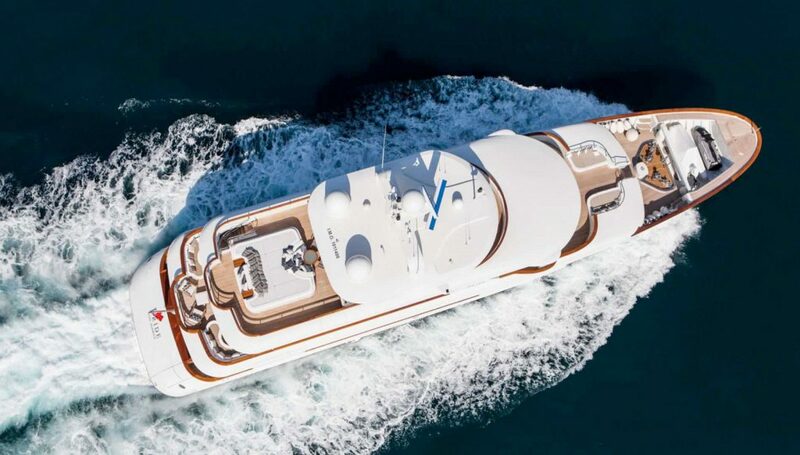 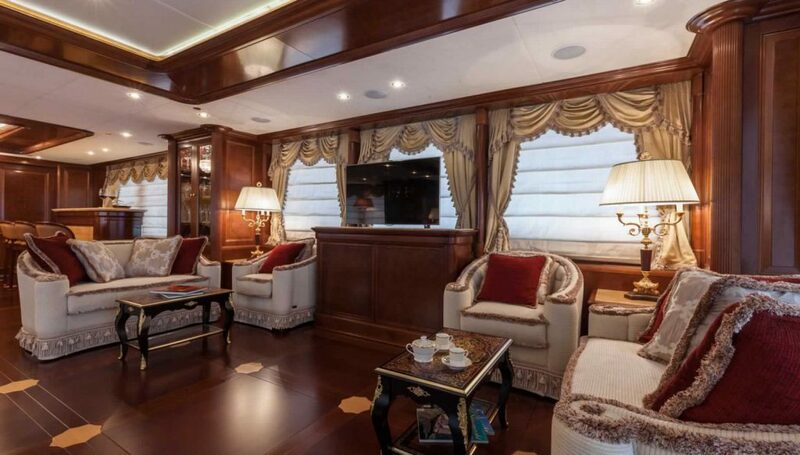 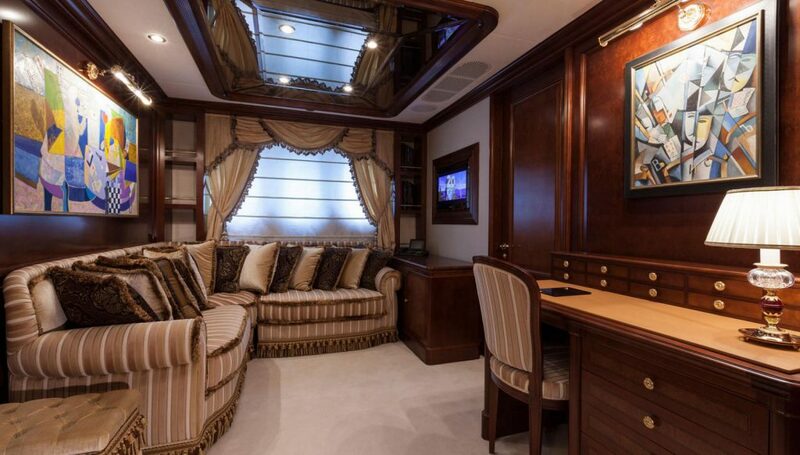 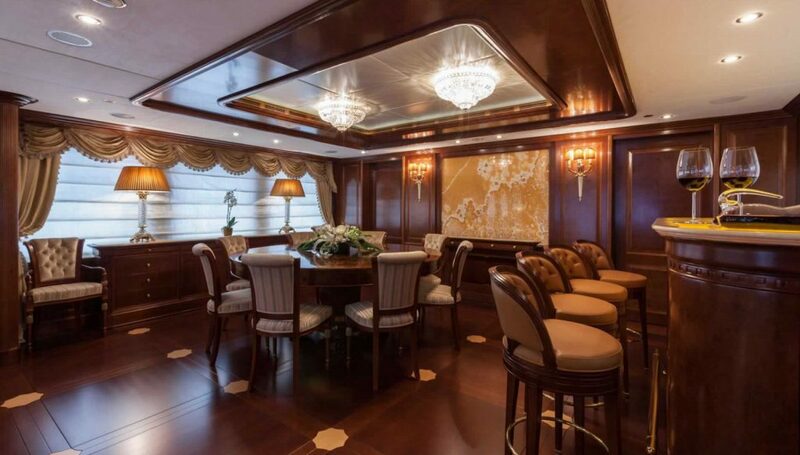 Her efficient layout accommodates 12 guests in six cabins: a full-beam master suite with two side balconies, a full-beam VIP, two doubles and two twins. 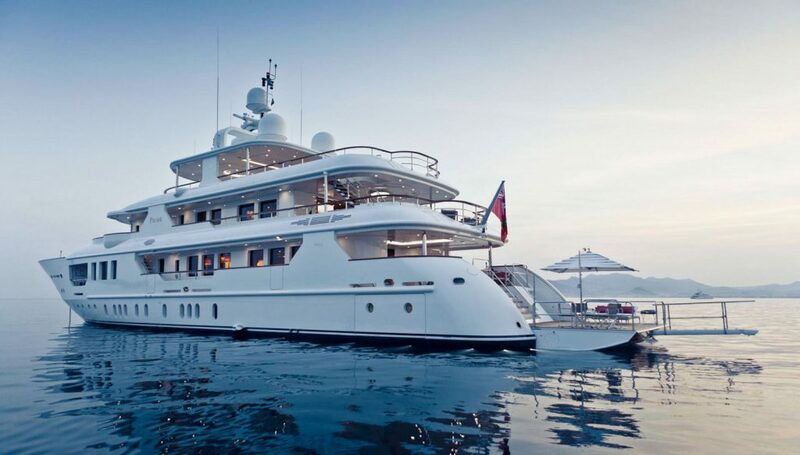 She’s powered by twin Caterpillar C-32 engines giving a top speed of 14 knots, a cruising speed of 12.5 knots and a range of 5,200 nautical miles at 10 knots.